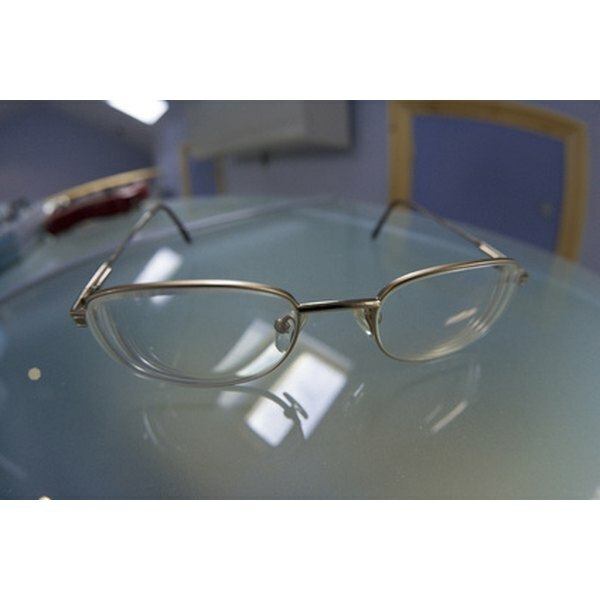 The job of a prescription lens is to bend rays of light so that they focus properly on the eye's retina. In recent years, plastic lenses with increasingly higher densities have emerged. These denser materials bend light more efficiently so that less lens material is needed. The result is thinner and often lighter lenses. While high-density lenses clearly deliver advantages in cosmetics and comfort, they are not without drawbacks. Don't go to your local optician expecting a conversation on density. The eye-care industry differentiates lens materials by their "refractive index." Simply put, this is the material's ability to displace light. Density and refractive index are not the same, but they go hand-in-hand. As material density increases, so does its refractive index. Standard optical plastic has a refractive index of 1.5. Denser options include 1.6 lenses, often referred to as midindex, 1.67 high index and 1.74 high index. All lens materials are graded with an ABBE value. This identifies the lenses' tendency to disperse white light into its separate colors. Rainbows may be pretty in nature, but they are a problem optically. This is called chromatic aberration, and it is a main source of blur in a lens. The higher the ABBE value, the clearer the lens. Standard optical plastic has an ABBE value of 58. In midindex lenses, the ABBE value falls to 42, and in a 1.67 high index the value falls further to 32. So, as lens density increases, lens clarity decreases. Unless you're talking about sunglasses, the more usable light that passes through a lens, the better. A standard plastic lens transmits about 92 percent of incoming light to your eyes. As lens density increases, light transmission falls. In a 1.74 high-index lens, about 86 percent of incoming light passes through. This difference may be negligible in full-light conditions, but it can become more noticeable in dim light. What happens to all that light that is not transmitted through the lens? Much of it bounces, or reflects, off the surface of the lens. Unwanted reflections can come off both the front and back surfaces. Another word for this reflected light is glare. The denser the lens material, the more glare it produces. High-density materials can create a lens that is up to 40 percent thinner than a traditional lens. The key words in that statement are "up to." For people with higher prescriptions, the cosmetic and comfort advantages of these lenses often far outweigh the related performance and cost issues. On the other hand, those with lower prescriptions (under plus or minus two diopters) may find that the change in the thickness of their lenses is minimal. Many of the problems that are inherent in high-density lenses can be countered with additional technology. Problems with lens blur often can be reduced by requesting an aspheric lens design, in which the lens curvature gradually flattens toward the perimeter of the lens. Problems with transmission and reflection can be minimized by adding an anti-reflective coating. Robert Leonardi is a freelance writer specializing in eye care and general health-related articles. He is the president and CEO of a chain of eye care centers and has more than 30 years of experience as a licensed optician and administrator in the optical industry.